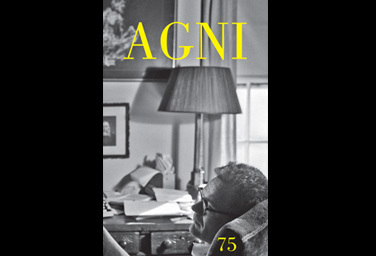 This 40th anniversary issue of AGNI is largely devoted to the life and work of the poet Robert Lowell. It contains a portfolio of thirteen black and white photographs chosen from over one hundred taken of Lowell by Robert Gardner. The photographs were developed and remastered by Simon Malkovas and appear in lustrous fashion as a result. This important literary journal is published at Boston University and is made available here.